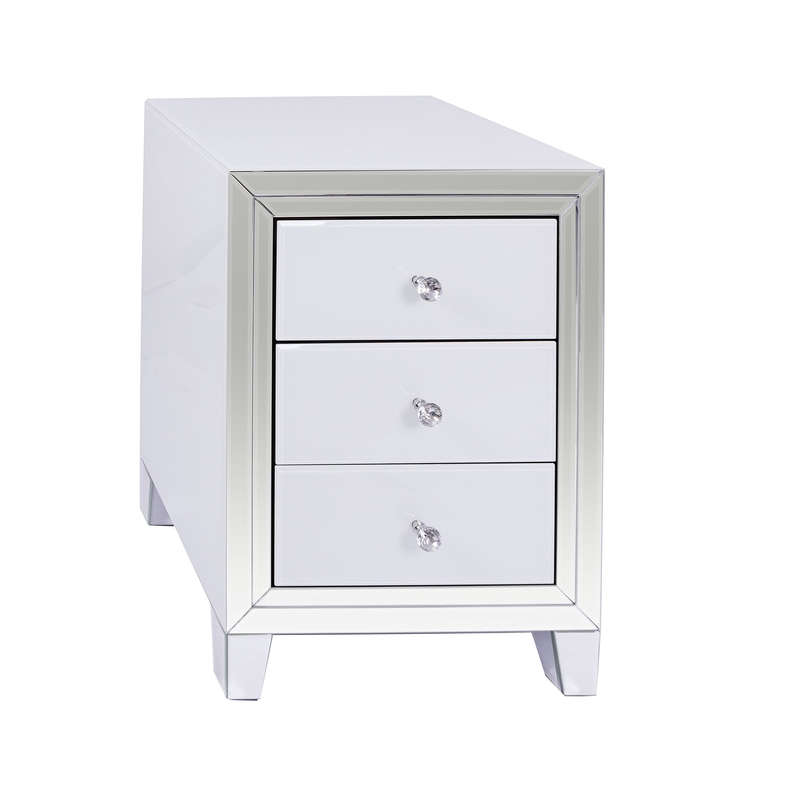 Add a modern touch to your bedroom by adding this beautiful Bianco Mirrored Bedside Table. This beautiful bedside is finished in a solid white colour with glass. Featuring mirrored detailed and crystal handles this bedside is ensured to give your home the modern feel you've always wanted.